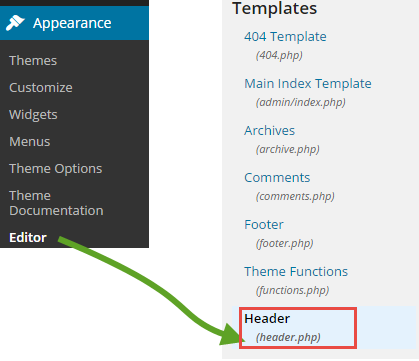 Where Are The Body Tags In WordPress Themes - Blogger I.Q. 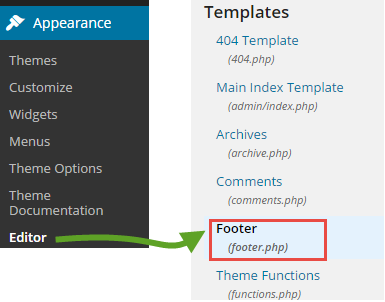 Where to find the opening body tag and its closing tag in any WordPress theme? Most of the times, the snippets of code that you borrow from websites like Facebook, Google to put your like, share, plus one buttons will ask you to put the code near to either the opening body tag or the closing body tag. If you are new to blogging using WordPress, it's quite confusing at first to find out where the body tags are. The reason is that these tags are hidden inside the theme's editor area. Whatever theme you use, if the theme provides 'editing' options, then here is where you find the body tags – both the opening and closing tags are given in different sections – so please read carefully.